Barton Creek West HOA is a quiet, family friendly community of 398 homes nestled in the southwest hills of Austin in the 78733 zip code. The community Barton Creek West is located in the Eanes School District surrounded by 400+ acres of protected greenbelt along Barton Creek. The native greenbelt provides natural habitat for birds, whitetail deer & many other wildlife species. Jogging/walking trails take full advantage of the greenbelts that allows you to soak up all that the Texas hill-country & Barton Creek valley has to offer (at your own speed…). 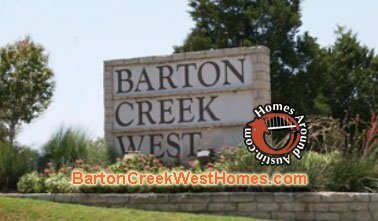 Barton Creek West homes were built in the mid 1980’s through the mid 1990’s. Homes range in size from 2,000 square feet to over 4,000 square feet. Barton Creek West homes typically start in the low $400’s and go up to the $600’s in price. Home prices vary based on age, condition, size and lot location. Many of the homes are located on premium lots featuring expansive views of the hill country or directly back-up to the Barton Creek greenbelt system.